Ironic Clown | Drown your frown with Ironic Clown! 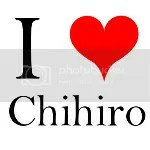 This new blog will not be Japanese based, however may feature some Japanese artists. Feel free to update your blogroll, however I will not be adding affiliates to my blogroll so please don’t ask to exchange links… sorry! I’ve had a load of fun at Ironic Clown, but now I think it’s time for something a little different, as I’ve matured a little and my music tastes have changed somewhat. Not to say I don’t like Japanese music anymore, I’m just also interested in other types of music now too. Thanks for understanding. So as I once again begin to post that I am not dead (although to forgive me for not posting for a amount of time! I also return with a new message. My long break from blogging has changed my music tastes quite significantly (don’t panic yet). I have almost completely shied away from the pop scene and are into more “alternative” and “rock” bands such as Radiohead, Beirut and others. However, I also return with one new musical taste… quite a unique musical taste. I am now extremely fond of (wait for it)…………….. ICELANDIC MUSIC! I know a few of you may be asking WTF? But I just can’t help it. I love Icelandic music so much. It’s so ethereal and stunning. I can’t get enough of it at the moment. So in the meantime… expect Icelandic music to appear on this blog. I will be reviewing Icelandic artists such as Múm, Sigur Rós, Hafdís Huld, Seabear and Björk. Also, expect some French music too! Oh and of course Japanese music. Consider this “broadening my horizons”. Do not fear… I’m still here! As the name suggests. I have not died. I have not gone. I just haven’t posted recently. I will post in the near future. I am currently experimenting with different types of music. So stick around for some new music to be posted. Also… I plan for my reviews to be shorter and more direct to the point, this will allow me to post more review. I’ll be back soon! 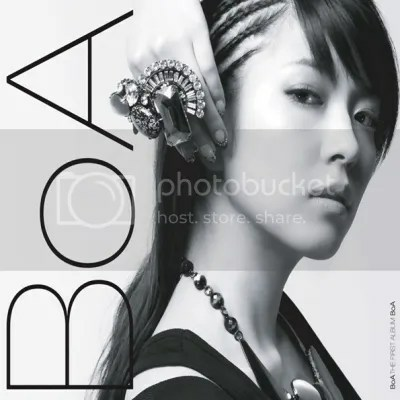 BoA is BoA’s 12th studio album and her first album in English. It was released on the 17th/18th of March in the US and Japan respectively and reached number one on the Oricon Weekly Charts and 127 on the US Billboard 200. Gone are the days when BoA was a cute fourteen year old in her home country of Korea performing sugary pop songs in while performing sleek dance movies and gone are the days when BoA’s image was squeaky clean… here comes America! Bring on America she as says. BoA has successfully conquered the Korean and Japanese music and is now ready for bigger and better thing… but did she take it to far this time? A few thousand miles to far… is BoA really designed for the American industry? Before this release my answer would have quite frankly been “no”. However I must say I am rather impressed! BoA has been produced by an elite team such as Sean Garret and Bloodshy & Avant to help follow her American dream. You’d think that not being able to speak fluent English would stop somebody from entering the American music industry… apparently not? Instead her voice is covered in vocoders to hide the Korean accent… somewhat. To be quite honest, I actually like the vocoder on BoA, we all know that her voice isn’t the best, and I can only imagine what it would be like without her faithful vocoder… her glimmer of hope in the American music industry. Normally I am against vocoders on “singers” however this time it actually enhances her voice, sure it still doesn’t hit the right notes all the time, however it does provide it an acceptable and catchy alternative, because let’s face it even at the best of times BoA’s voice isn’t all that great. BoA has gone for a very stereotypical American approach full of what I like to call “me, me, me” lyrics. These lyrics can sometimes sound awkward when BoA says them because I still think of her as the innocent fourteen year-old, however her newest release just proves how much BoA is determined to conquer America. Some lyrics are just hilarious and make me burst out in laughter every time I listen to them because they are so cheesy and stereotypical. Examples of these are littered throughout the entire album, Eat You Up probably being the best example, with lyrics like ”I’ll eat you up, woah, so yum yum and “I wanna take you to my room.” Examples can also be seen in Obsessed when she opens the song with “I’m breaking the rules don’t really care if I get caught. Because I’m in love, love, love can’t get enough of you. Need you night and day. When you’re not around I’m tested, I could get arrested carrying on this way. I’m going crazy here by myself. I want you and no one else. Sending out a signal of my distress, I confess, I’m Obsessed. I could go on about all the corny lyrics… but I’m afraid you’ll think I’m… Obsessed. Har har. Despite the lyrics be so atrociously shallow I actually didn’t mind it on this album, because it provides humour and makes BoA who she is. In terms of arrangements all the songs are spot on. BoA’s obviously worked with some good producers because every song (except for Girls on Top) is infectious. BoA has ditched the sugary pop altogether (which a lot more artists should do!) and gone with aggressive pop. Some of the songs do sound the same; however they all have individual characteristics and a clever track-listing to moderate the sound. So the biggest question of all… has BoA successfully conquered the American music industry? Well, ugh, sorta? There’s no clear answer really. By this I mean BoA has come up with an excellent album, her best so far, however I do feel that this is not a genuine BoA, instead a special commercialised “American version” designed for Westerners covered in an extra thick layer of plastic. Don’t get me wrong I do love this album, however I don’t feel like this is the real BoA. I also believe that the Americans haven’t embraced her as much as she looked like she had tried to embrace them. Having said this, I do believe that she has made a big milestone with the Western J-Pop community and for me that’s enough! Big thanks to Selryam for the scans! Lisa Mitchell is an Australian singer who has been in the music industry for a few years now. She orginally started on Australian Idol, however only managed to make it to sixth position. She vanished for a while and then released an EP Said One To The Other after she had lost her Idol status. In 2008 she rose to fame in Australia with her single Neopolition Dreams which was featured heavily in commercials. She released her second EP Welcome To The Afternoon on May 30 2008. Now in 2009 she has just released her new album Wonder, which ironically reached sixth on the Australian ARIA charts. You may be wondering why I am posting something so random like this, I know it’s not an album review or anything like that (although expect Lisa Mitchell to pop up on my blog in the near future). I just wanted to share an Australian singer who I really appreciate. One of my all time favourite video clips! Supreme Show is Ami Suzuki’s 7th album it was released on the 12 of November, 2008 and reached number 16 on the Oricon Weekly Charts selling a total of 13, 094 units. Ami, Ami, Ami, oh what a big ten years you’ve had in the music industry! It’s no secret that your career has had its ups and downs and you may not be as popular as before… but ever thought about why… is it because your music just isn’t interesting…? Unfortunately yes! Nothing annoys me more when girls like Ami Suzuki who is perfectly capable of singing decides (or is it jus t Nakata) that she wants to be an alien – i.e. wear a thick yet wimpy vocador which destroys her voice and turns it into unintelligible alien shrieks. You’ve got to feel sorry for the poor girl and the other prisoners such as MEG enslaved under the evil reign of Nakata who are also prone to “alien whines”. The majority of the songs are boring beyond belief in terms of vocals. I’m sorry Ami, but I just don’t like listening to you when you sing with absolutely no emotion or depth. I know for a fact that Ami is perfectly capable of singing at least half decently; you just have to go an album back (DOLCE) to see that. Songs like can’t stop the DISCO prove to have a slightly interesting back-beat, but still it is executed poorly and I’m sure if this was played in some sort of disco club it WOULD stop the disco as quick as a flash because lets face it this song could use some work. Perhaps climbing top position for one of the best song of the album is climb up to the top mainly because Ami’s vocals are actually slightly interesting putting aside the fact that the heavy moaning throughout the entire song is just disturbing. Nakata proves just how arrogant he is with SUPER MUSIC MAKER (SA’085/A mix) which got me thinking… whoever though t he was a super music maker must think that my grandma is good at technology… yeah you get my drift. I will however give Nakata some credit because I must commend him for the effort that a fair few of the songs on Supreme Show do have an interesting arrangement for the techno genre. While the songs may have a thin arrangement they can still prove interesting, however I go by what I said earlier Ami’s “alien whines” prove distracting. What I also found interesting about his arrangements was that there was actually a piano in most of the songs. 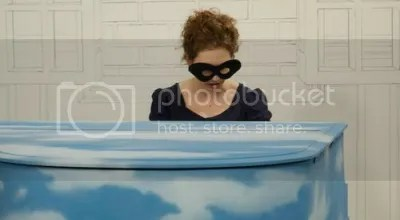 Yes that’s right a piano… no …wait… it’s a keyboard! Still I liked the fact that he balanced his arrangements out with the slightest bit of organic instruments. Amazingly a violin can be heard in flower which was a plus amongst the many minuses. Ami has made a statement in the music industry, proving that even if you have been in the music industry for ten years, it doesn’t make you any better as the years go and in this case it may actually make you worse. However I can’t go by without mentioning her single Reincarnation which was released after Supreme Show in which she literally did get reincarnated into a different person. Yes that’s right behind all the negative press for Reincarnation I did actually enjoy the single thoroughly mainly of her voice (even though she pretty much screams the whole song… but I mean that’s a step up from “alien shrieks” right?) and because she changed producers to Taku Takashi from m-flo which gave her a whole new revamped sound. My opinions of each song can all be expressed by the rather dull and misleading track names. I could have listened to TEN for about ten more seconds before I would be bored out of my brains. can’t stop the DISCO had me wanting to stop this so called disco. While climb to the top almost climbed to best song on the album. SUPER MUSIC MAKER (SA’085/A mix) had me thinking just how not super Nakata’s music is. Mysterious was one of the few songs that lived up to its name because of its mysterious arrangement, however it still suffered the same fate as most of the other songs on the album. change my life was a song with no life changing elements. While LOVE MAIL didn’t make me want to send any love mail to Ami or Nakata. A token of love did win a token of my love. But TRUE, truly proved that this album was on a path to destruction. flower blossomed, well… nothing. ONE was one of the only songs I could say I actually really enjoyed and definitely is number one on the album. 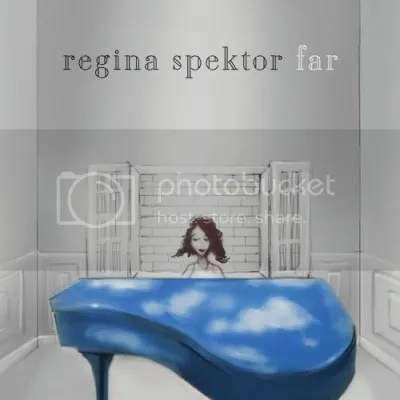 While overall I didn’t like this album there where a few elements such as a few interesting arrangements which saved the album from death and destruction, however this album is no Supreme Show and not something I really recommend. Despite being so harsh in this review I don’t have anything against Ami or Nakata, I just think that this album could have used a lot more work to make it the Supreme Show that it was meant to be.